The Nike ® Academy 19 Track Jacket, slim cut, fast feel. 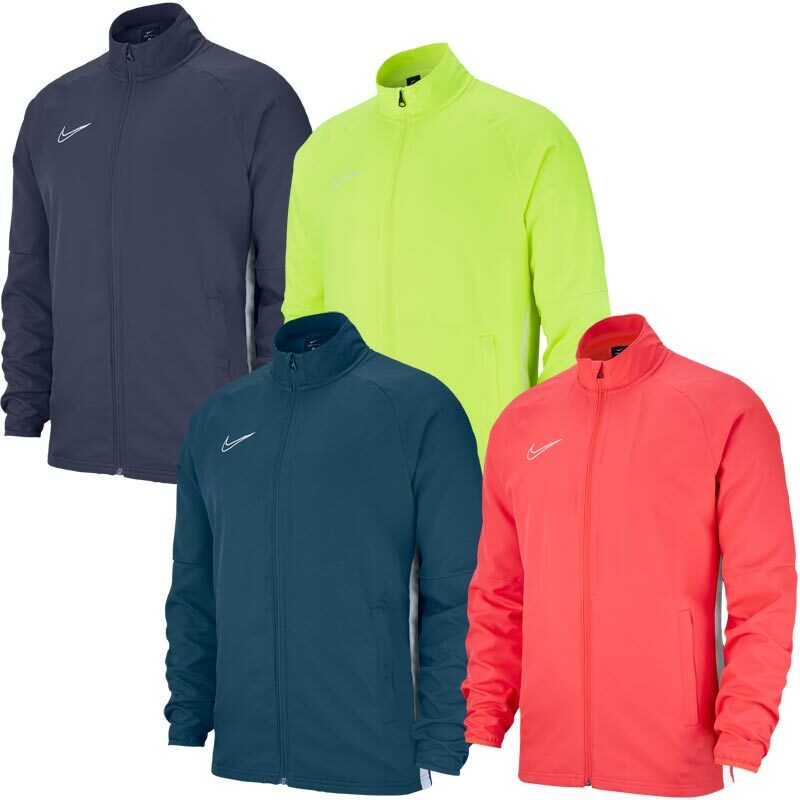 Anticipated availability for the Nike ® Academy 19 Senior Track Jacket: January 2019 to end December 2020. Elastic cuffs help hold sleeves in place. Full front zipper provides easy on and off.